Chairwoman of the National Assembly Nguyen Thi Kim Ngan pays visits to France, Belgium and European Parliament; the ever biggest population and housing census starts and the 2018 Provincial Governance and Public Administration Performance Index (PAPI) are among the outstanding information in the week. Right after having finished her official visit to the Kingdom of Morocco, on the evening of March 30, 2019, Chairwoman of the National Assembly Nguyen Thi Kim Ngan and the high-ranking delegation of the National Assembly of Vietnam arrived in Orly Airport, Paris, France, starting her official visit to the French Republic at the invitation of President of the French Parliament Richard Ferrand. On the afternoon of April 1, 2019, President of the National Assembly (Lower House) of the French Republic Richard Farrand hosted a welcoming ceremony in honor of Chairwoman of the National Assembly Nguyen THi Kim Ngan and the high-ranking delegation of the National Assembly of Vietnam. After that, the two sides held talks. The Vietnam-France friendly relations have been vigorously and sustainably developing, especially since the two countries have established the strategic partnership in 2013, Chairwoman Nguyen Thi Kim Ngan said, further stressing that Vietnam has always attached importance to its relationship with France and wished that in the coming time, the two sides continue to coordinate and further deepen the cooperation internal function in the relationship between the two countries. The two leaders have unanimously agreed the fine political relations will help pave the way for cooperation in other areas. Economic cooperation will always be the priority in the strategic relations between the two countries. France is the 3rd largest European investor in Vietnam with investment capital of USD 2.8 billion, the 4th European trading partner with the bilateral trade turnover in 2018 being put at USD 5.1 billion. Chairwoman of the National Assembly Nguyen Thi Kim Ngan extended her cordial invitation to President of the Lower House of France to make an official visit to Vietnam. The President of the French Lower House had accepted the invitation with gladness. Within the framework of her official visit to the French Republic, on April 2, Chairwoman of the National Assembly Nguyen Thi Kim Ngan had an audience with President of the French Upper House Gerand Larcher and Prime Minister Edouard Philippe, attended the Vietnam-France Economic Forum and hosted the closing ceremony of the 11th cooperation conference between the localities of Vietnam and France. On April 3, Chairwoman of the National Assembly and the senior delegation of the National Assembly of Vietnam arrived in Brussels, the Kingdom of Belgium, starting the visit and work at the European Parliament at the invitation of President Antonio Tajini of the European Parliament. Chairwoman Nguyen Thi Kim Ngan had an audience with President of the Chamber of Representatives Siegfried Bracke. 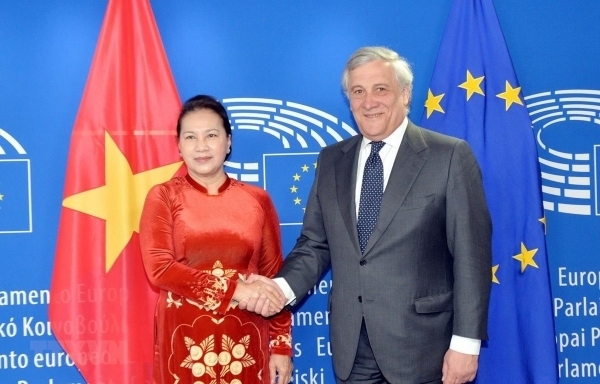 The two leaders had exchanged opinions on FTA between Vietnam and the European Union. Chairwoman Nguyen Thi Kim Ngan wished that the Parliament of Belgium continues its support so as to promote the sooner ratification of this Agreement. President of the European Parliament Antonio Tajini reaffirmed that he would do everything in his power to have the Agreement approved at the soonest./. At zero hour on April 1, 2019, the statistics sector started the population and housing census nationwide, with the participation of 122,000 investigators. According to the General Department of Statistics, this is the biggest ever population and housing census with the aim of collecting the fundamental information on population and houses just to serve the study and analysis of the process of population and housing growth nationwide. It also aimed to assess the results of implementing the plan on the social and economic development in the 2011-2020 stage and build the plan for the 2021-2030 stage. Collecting information of the census lasts 25 days, starting on April 1, 2019. Preliminary results will be made public in July and the result of the whole census will be announced in the second quarter of 2020./. 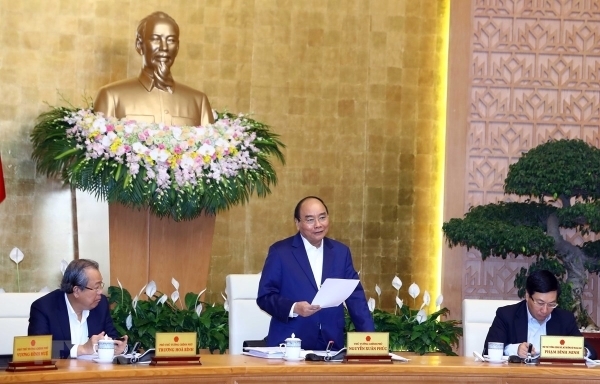 On April 2, 2019, the Government held its regular meeting in March to assess the economic situation in March in Q1 of 2019 under the chair of Prime Minister Nguyen Xuan Phuc. Assessing the social and economic situation in the first quarter of 2019, the Prime Minister said that even though there are a lot of difficulties at home and abroad, the economic has still obtained positive results. GDP in Q1 increased pretty well, by 6.79%; macro economy is stable; CPI in March reduced by 0.21%. The international organizations have also made positive assessments of Vietnam’s economy. ADB judges that Vietnam’s growth rate this year will reach 6.8%, while WB predicts that it will be 6.6%. The Prime Minister asked the agencies to try to overcome the bottlenecks of the growth, in which the disbursement of public investment is still slow. He also asked the agencies to overcome difficulties in agriculture such as swine fever epidemics. The Prime Minister also mentioned the recent social problems that need being urgently resolved./. 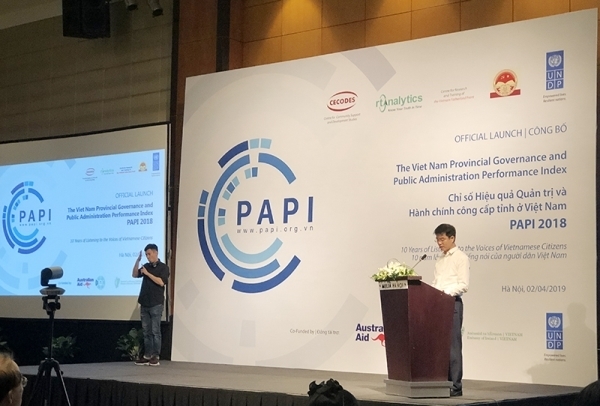 The report on the Vietnam Provincial Governance and Public Administration Performance Index (PAPI) in 2018 was announced on April 2, 2019. The report says that in 2018, Vietnam reached the record GDP growth rate of 7%; yet, concern is also paid in hunger and poverty. This is the most important thing that the State should focus on settling it. This is the 10th PAPI report that Vietnam has implemented so far. The results of the survey show that corruption remains the top concern among the public. As for the public elementary education, it shows certain reduction, especially the satisfaction of the users of this service in terms of facilities of the public schools and the quality of elementary education. As for the “Environment Governance”, the people show their great concern over the quality of living water and the air pollution which are worse than 3 years ago. All the discoveries made by the PAPI study helps create considerable influences and in the coming time, these impacts could be greater when people contribute their opinions via PAPI./. 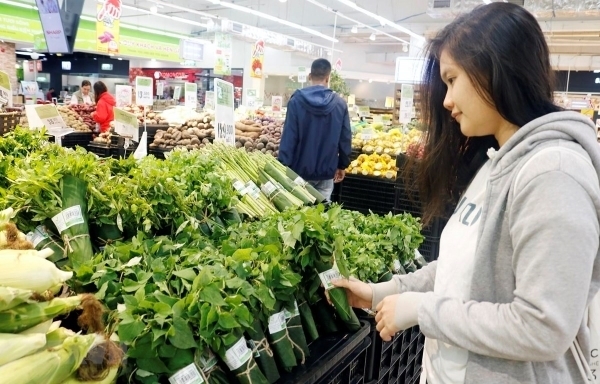 On April 4, 2019, Prime Minister Nguyen Xuan Phuc sent a letter of commendation to the supermarkets that are using natural products to warp food instead of nylon bags. The Prime Minister said that this is the practical measure to limit the use of nylon bags. On behalf of the Government, the Prime Minister warmly welcomed and commended the enterprises which have taken the practical measures to minimize the harmfulness of nylon bags, making the position contributions to changing the concept, responsibilities and habits of using nylon bags. On this occasion, the Prime Minister called on the unions, enterprise community, supermarkets, restaurants and hotels to join hands with the Government and the entire society to minimize the use of the nylon bags./. On April 1, 2019, Judge Azmi Ariffin of High Court Shah Alam in Selangor State, Malaysia, announced the new count for Doan THi Huong – the suspect in killing Korean citizen Kim Chol – for deliberately causing injury by the dangerous means, instead of the count of murdering. After two years of detention for being suspected of assassinating the Korean citizen Kim Chol (Kim Jong Nam) at Kuala Lampur Airport in February 2017, Doan Thi Huong looks happy when she could be released in May at the soonest./.